Going to try shaping this one into an actual cloud tree niwaki bonchi. 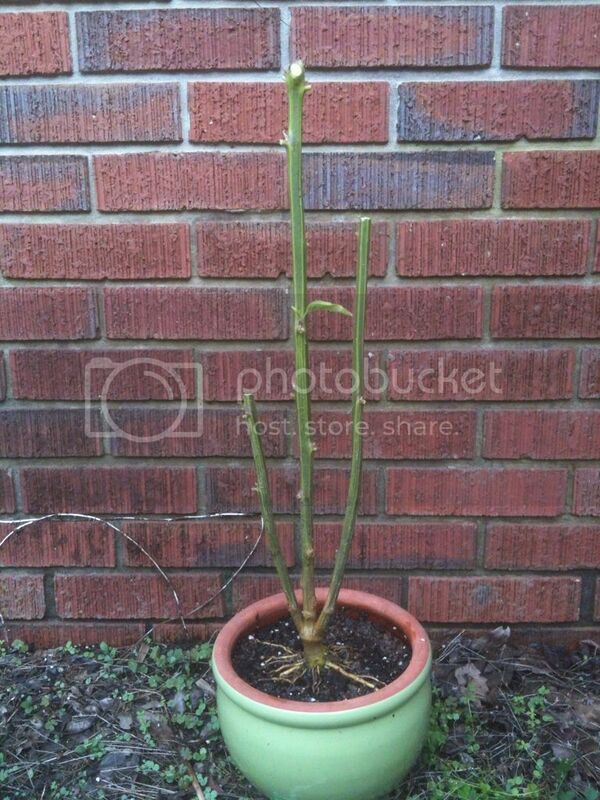 I intend to make one nice round cloud blob at the end of each stem for a nice staggered three tiered bonchi. Would have liked to have staggered the trunks a little more evenly, but thats where the existing growth nodes were, so thats where I cut. Doesn't do any good to chop the trunks at pleasing places if nothing will grow from those places.